Once upon a time... let's say- some time last fall... a very kind stranger reached out to me & asked if I'd like to be interviewed for the Huffington Post. Of course, I said YES, and she promptly sent me the questions for the interview. I answered the questions with as much sincerity & purpose as I could muster, sent them back her way, and then... she mysteriously disappeared. To my knowledge, that interview never made it onto the Huffington Post or anywhere else for that matter, and so... I'm posting it here. In a nutshell, it's all about personal development with a touch of magick. By "magick" I mean creating change in conformity with your will. It's about learning how to get out of your own way, move past fear and get to a place where your actions are in alignment with the dreams of your heart. 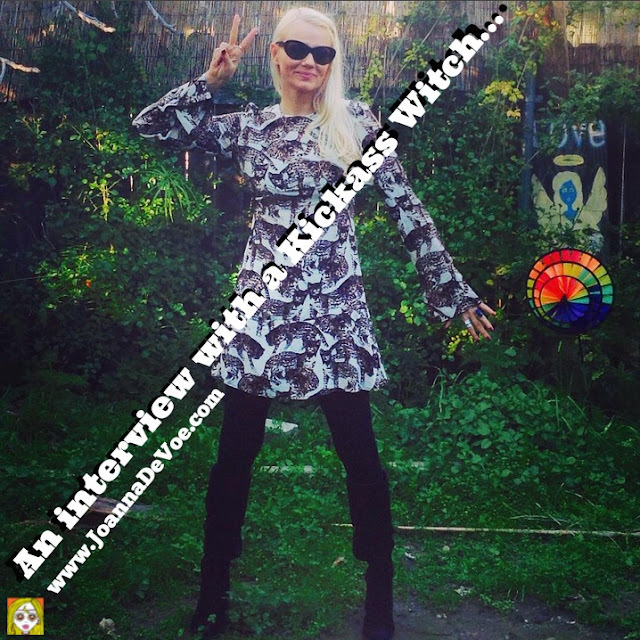 I started Kickass Witch when I realized, after a short time spent making Youtube videos about my own personal path, that people were resonating with my unique take on magick and that I could be of greater service to the kind of people I love most if I turned my full attention toward doing more of that and in a more deliberate way. Q : What are your key offerings? I'm super proud of the two eBooks I released last year, The Rich Witch and The Spiritually Mature Witch. Both are quite practical. I'm a big fan of practical magick. They also both address the subject of shadow work in a way that really supports the busy lives of modern spiritual seekers. I also love running The Psycho-Spiritual Wheel Of The Year, which is an ongoing program I began in 2013, and I offer private, one-on-one coaching as well. Q : What are the strategies you use to be a "Rich Witch"? I believe that personal connection trumps everything when it comes to making a living in a way that feeds your soul, which is the kind of income I'm interested in creating. Are you using your job or business to create real value in the lives of others? If so, that value will be reflected back at you in dollar signs, if that's the kind of energetic exchange you're looking to create. 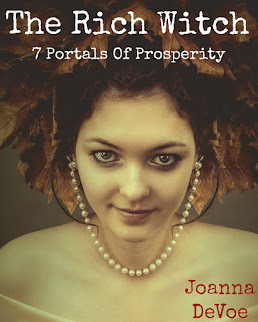 The Rich Witch eBook is more about the nuts & bolts of growing your money. It's a financial How To for spiritual people, people who are creative & magickally-inclined but may still be struggling to make ends meet in the so called "real world". I wanted to do more than pump them up with a bunch of positive thinking fluff. I wanted to actually show them what to do to expand their financial lives, step by step. Q : What is one of the biggest lessons you’ve learned along the way? Discernment. I've learned to discern between what is worth my energy and what isn't. This applies to everything from wasting time on social media to what kind of offerings I choose to create. Asking "will this create real value for my tribe?" has been the greatest litmus test. Discernment has also proven to be extremely important when it comes to partnering with other people for any kind of collaboration. The people you align yourself with in biz should be a good match for your mission. 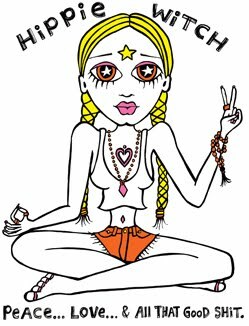 Q : What is one of the biggest misconceptions around "woo-woo" spirituality? 1. Money is not spiritual & creating a business around spiritual services is unethical. Hello! Witches and healers and tarot card readers need to eat too. 2. We need to ascend this 3-D reality by continuously raising our vibrations higher & higher and into the stratosphere with a strict mental diet of all light & love. In my experience, it is exploring the darker aspects of ourselves that contains the most potential for personal growth. Q : How can entrepreneurs and business people benefit from spiritual practices? I actually believe that your business can be it's own spiritual practice in & of itself, because I believe that anything you take on mindfully can be a spiritual practice. Running your own business is one of the most challenging in that regard and consequently the most rewarding, because achieving success will likely ask that you grow in ways you'd never been asked to grow before. It will ask that you stretch beyond your current patterns of belief, heal old wounds that may be standing in your way and learn to create real value in the lives of others. I personally have learned so much about myself and other people in the past few years of business. I've grown in ways I don't think I'd have had the opportunity to even consider otherwise. If you see your business as a kind of truth machine or a magickal feedback loop, it will show you the secrets of your innermost self. Q : What advice would you give to someone who wants to follow a path similar to yours? Be yourself. Share what makes you unique, weird or different. That's not only going to set you apart from the masses of online coaches & personalities, it's what's going to attract your ideal tribe, the people you were born to serve. It also happens to be the most sustainable path, as you're never going to stop being you. Don't worry about what everyone else is doing. Follow your gut. Trust your heart. And listen very carefully to the needs of your clients and fans. Q : Describe your favorite moment or accomplishment in your career so far. I've had so many! It's hard to pick just one. 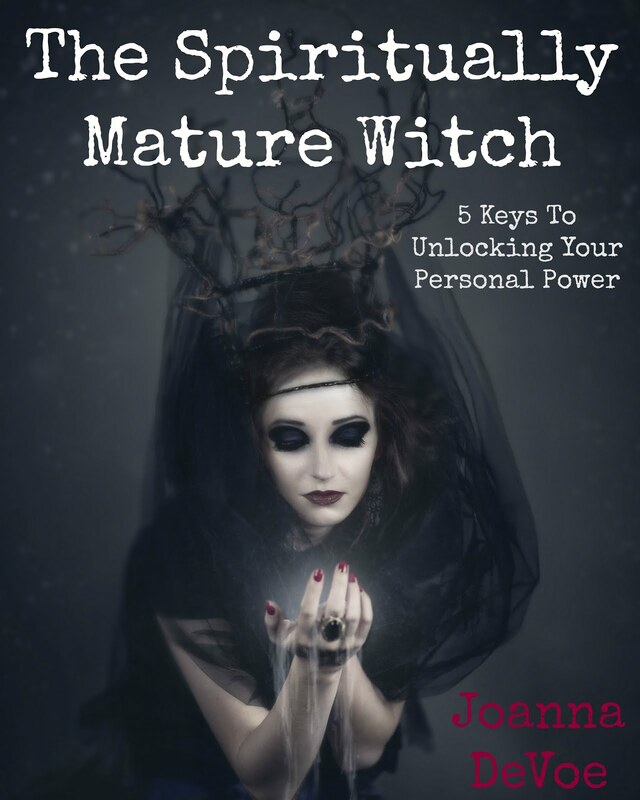 Interviewing Laurie Cabot for my podcast would be high up on that list, as would publishing my first eBook, The Spiritually Mature Witch, and seeing how strongly it connected with so many people. There seemed to be a real need there that I somehow managed to tap into, and I'm still so blown away by that. Q : What’s the most exciting thing going on for your business right now? Watching my coaching clients and fans start to really step into their power. They're launching their own businesses, setting strong, healthy boundaries in their personal lives and making genuine, heart-felt connections with each other. It's so awesome to see! They inspire me every day. Q : How do you balance business and life? Do you have any rituals or practices that help you stay centered? The one thing that is absolutely non-negotiable is NOT having the internet on my phone. This allows me to step away from work any time I need a break by simply closing my laptop. No one can email or Tweet or Facebook message me while I'm taking a bath, hanging with my kid or cruising the grocery store, which, by the way, I really love to do! I'm such a food nerd. Q : Anything else you’d like readers to know? YES. I would love for everyone to KNOW deep down in their bones the power of being the most radically complete version of themselves. I want them to know that what makes them weird is what makes them invaluably special and that the more they can embrace what they perceive to be their flaws & the higher they are willing to let their freak flag fly, the happier they'll feel and the more "on purpose" their lives will be.